Oct. 27, 2017 2:30 p.m. The NDP is trying to boost the profile of its new leader Jagmeet Singh, launching an introductory tour in Ottawa on Sunday that is expected to take the party’s new leader into every province and territory before a policy convention in February. One of Singh’s main goals is to unlock the party’s potential in suburban ridings around Toronto and Vancouver — a growth plan that could represent a significant shift for the party that has not been witnessed since it made a historic breakthrough in Quebec, said former NDP national director Karl Belanger. “I am talking about a geopolitical shift in the NDP universe on a scale that was seen in 2011 when the Orange Wave was created by Jack Layton and the NDP,” he said in an interview. 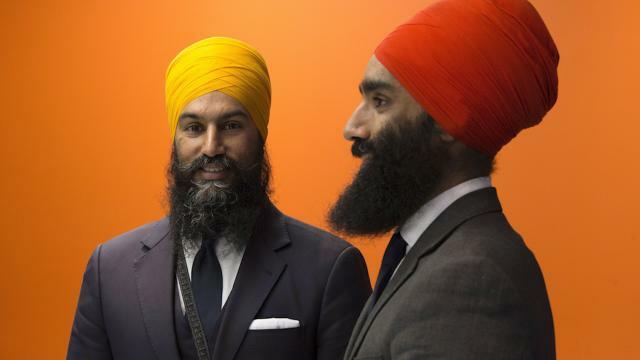 There are no guarantees, however, that Singh can deliver in competitive suburban ridings, noting the party must also stay connected with supporters in Quebec, where it has 16 seats. “The realities of these voters are quite different than those from the 905 and the greater Vancouver area,” he said. NDP strategist Robin MacLachlan, also the vice-president of the public affairs firm Summa Strategies, said it will be key for Singh and the party to visit the province early and often. Singh and his parliamentary leader Guy Caron recently paid a visit to the Quebec riding of Lac-Saint-Jean, where a byelection will be held on Oct. 23 — a competition sparked by the departure of Conservative MP Denis Lebel. MacLachlan said the campaign-style national leader’s tour in the weeks ahead will allow the party to tap into Singh’s strengths. “Jagmeet’s greatest challenge is of course his greatest opportunity: a great many Canadians haven’t had the chance to get to know him yet,” he said. The more people get to know Singh, the more they like him, MacLachlan said, noting this was evident throughout the NDP leadership race and in the recent stop in Lac-Saint-Jean. Singh is not a “quick fix” leader, he added, pointing to the organizational abilities that his team demonstrated during his leadership campaign through fundraising and signing up new members to the party. “You are going to see him and his team bring that same energy to the NDP,” he said.